In Near and Far, you and up to three friends explore many different maps in a search for the Last Ruin, recruiting adventurers, hunting for treasure, and competing to be the most storied traveler. You must collect food and equipment at town for long journeys to mysterious locales, making sure not to forget enough weapons to fight off bandits, living statues, and rusty robots! Sometimes in your travels you'll run into something unique and one of your friends will read what happens to you from a book of stories, giving you a choice of how to react, creating a new and memorable tale each time you play. 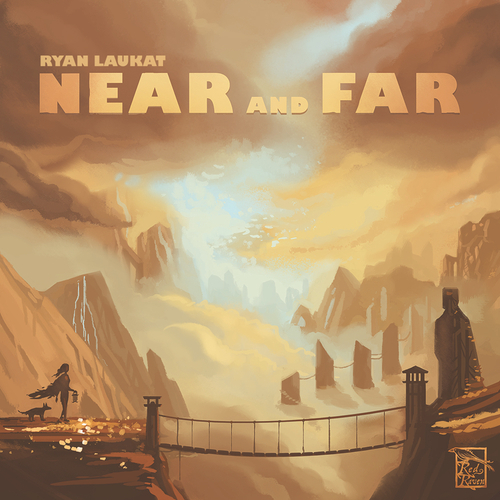 Near and Far is a sequel to Above and Below and includes a book of encounters. This time players read over ten game sessions to reach the end of the story. Each chapter is played on a completely new map with unique art and adventures.